There are some people God brings into your life at the perfect time for the perfect reason. 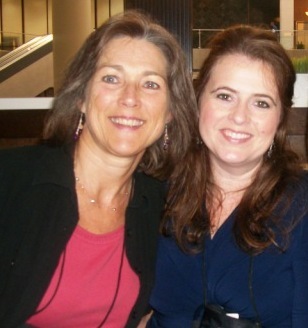 Steeple Hill Love Inspired author, Audra Harders, was one of those people to me last year at ACFW. Besides being a partner in workshop ‘sneaking’, Audra was also an encourager during my nervousness. She took me under her wing and prayed for me right in the lobby of the hotel. It was a beautiful experience – an example of her gentle, kind, and lovely personality. Audra is another one of the fabulous fifteen Seekers and her novel, Rocky Mountain Hero, debuted in January 2011. So Audra, what are your conference tips? 1. Bring your sense of curiosity and adventure. I know writers tend to be hermits, but a conference is no place to bow to those tendencies! Get out of your room and snoop around the hotel, you never know who you’re going to run into at the coffee shop or lobby. Or exercise room. Or pool. 2. Think about your “brand” and bring a gimmick. It can be as simple as a business card with your picture, your log line, or anything to identify you and your genre. Or maybe something that relates to your genre such as a creative (crafty) bookmark representing the era you set your books, or special chocolate from the region where your book is set. Market yourself as simply, but as powerfully, as possible. 3. You can’t look confident and relaxed if you’re not comfortable. While workshops and meetings are in session, dress for the image you want to exude. If it’s western, pack a jean skirt; if it’s urban, try stylish trousers and flats. Comfortable does not mean frumpy. Don’t leave your sweats at home if you like to relax in them, but make sure they’re publicly acceptable before you pack them. But don’t get too comfortable. I remember a conference I attended a few years ago where one of the authors was lounging in the lobby. This isn’t a bad thing…except she was wearing an old ratty t-shirt, dollar store flip-flops, and couldn’t have slumped down deeper into the overstuffed chair if she tried while she typed away on her laptop. Unfortunately, that is the image now burned into my gray matter of this author. Thank you! Thank you, Audra. And Audra brought the ‘brand’ word! Whew….tought stuff. What’s your brand? To find out more about Audra visit her website, or stop by Seekerville. And Audra – SEE YOU IN ST. LOUIE!!!!! Hey Pep! 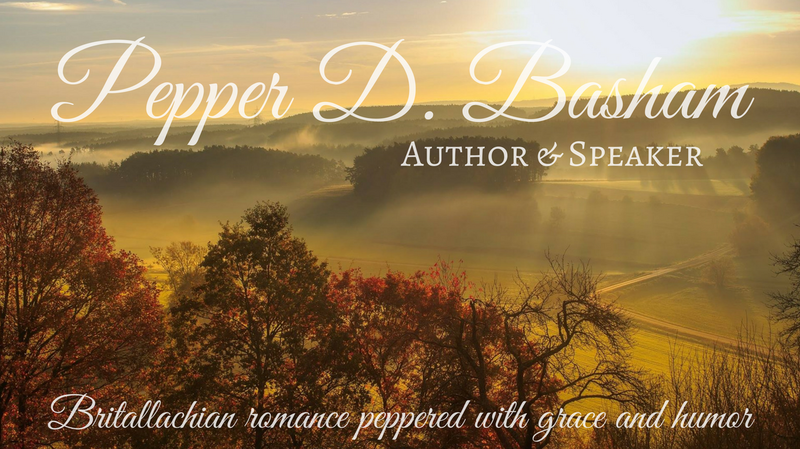 It’s always an honor to chat with you here on Words Seasoned with Salt (don’t you just love the name of this blog??). St. Louis in 6 days and counting. Let’s see what kind of new trouble we can get into, LOL! I have an acceptance speech that I do not plan to use – but fyi- listen for your name. You have been such an sweet inspiration to me. I feel blessed to know you – and be known by you. Pepper! I’m planning on cheering (rather loudly) not once, TWICE for you!! Can’t wait to see what fantastic designs and blurbs you have this year on your one-sheet. Okay, gotta get through Friday at work and then I’m off until the Wednesday after conference. YeeHaw! AUDRA!!!! Whoo-hoo — pretty soon I’ll be seeing that beautiful face in person, darlin’!!! AMEN AND AMEN!! That’s how I feel about you, too, Audra — one of those God-ordained friendships that touch one’s life in SO many incredible ways!! I am blessed to call you my good friend, and cannot WAIT to chat with you around the fire pit, girlfriend. PRAY for good weather, okay?? Julie, you are such a goof. We’ll see how you survive a few days bunkin’ with me, LOL! And, Carol’s trying to talk me into wearing my medieval dress to the gala. *snicker* You would turn heads!! And just think the impression you will give when you give your Genesis acceptance speech! Pepper, you’d be a knockout! Hi Casey! Can’t wait to meet you!